So many things happened in my mind!! Many questions and many fears! But that’s exactly why i’m here: to cross my limits. I don’t want my life to be guided by fears anymore. I’m Astrid, a french girl, 27 yo. I just got my diploma as a specialized educator and for me this is a way to begin travelling. I was looking for an intership abroad to experiment with other social practices when I had the opportunity to be volunteer for the sensory therapy center « In my world » which supports children with autistic troubles. 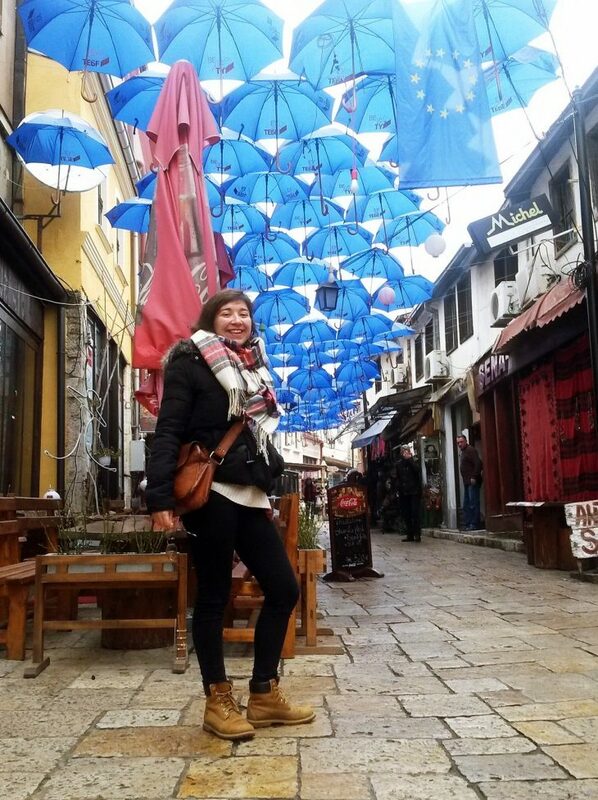 So, I didn’t have to think about it for a long time, it was like an evidence to say “Yes, let’s go to Skopje!” without knowing anything about this country. Unconscious choice? I don’t think so, life is all about surprises, spontaneity and new experiences! And in the moment I missed travelling and a grain of madness in my life. Coming here is a way for me to improve my audacity and to dare leaving my confort zone. Now I’m here, I feel quite lost, like a child which is discovering everything when it was born and it’s also really exciting. First days were tiring for my body. We need more energy to stay concentrate to understand people and to express in english, to remember informations and keep memory of places… I sleep very well everynight after all of that.